Many countries where English is not the mother tongue usually have a large populace does speaks English well, but also those who do not! And here are some bloopers. This one is at Leh. 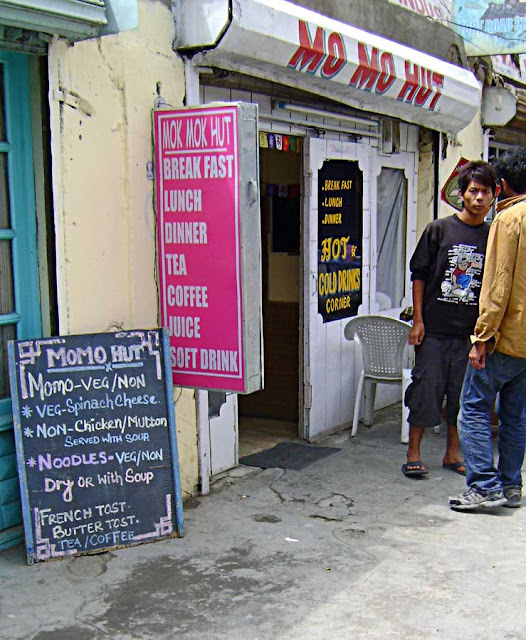 The location is a small restaurant called Mo Mo Hut and as everyone knows mo mo's are a famous snack of this area. 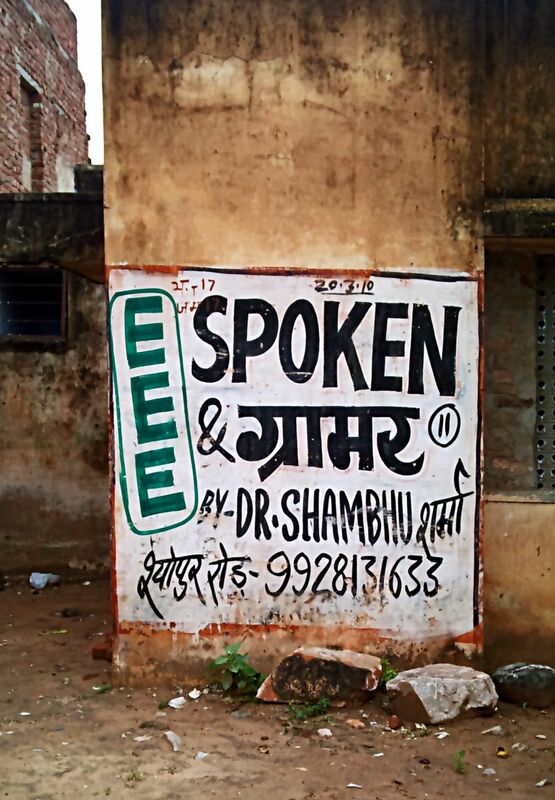 This first one taken in North India proclaims that it teaches "Spoken" & "grammar"! Spoken what I wonder and why is the word Spoken in English and the word Grammar in the Devanagari script? Wrong English about English! 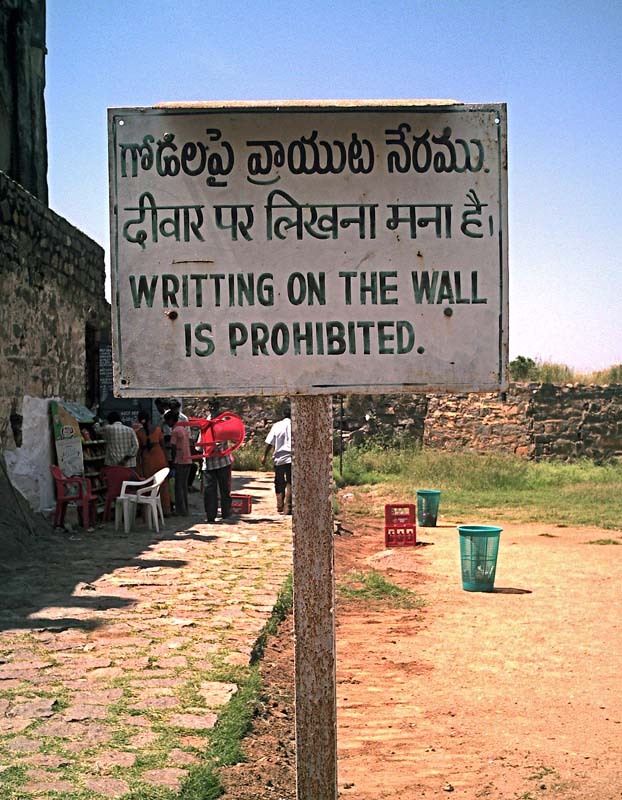 A simple spelling error outside a fort in Hyderabad. If one goes strictly by English, this sign telling people where the toilet is makes no sense. 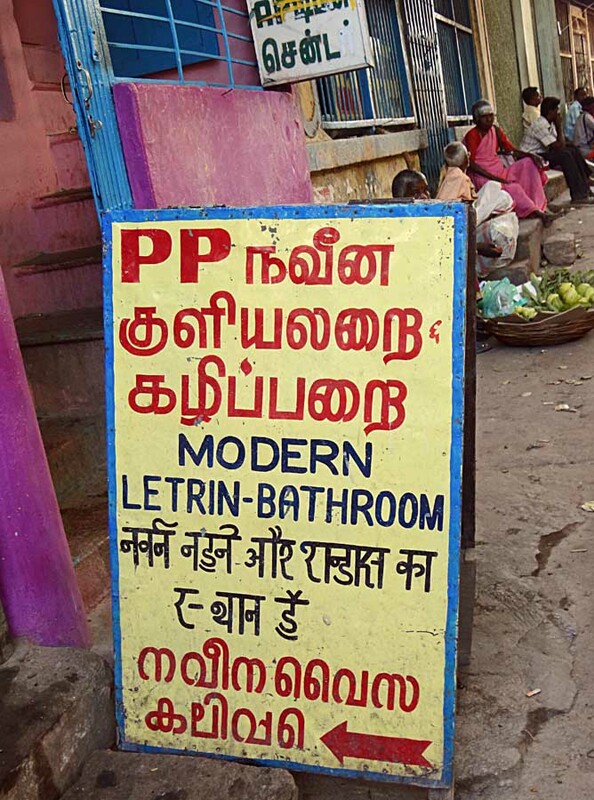 I guess by "modern" they mean "western" or I wonder if it means "clean"! Location is somewhere in South India. This one was taken in Koh Samui, a tourist island in Thailand. 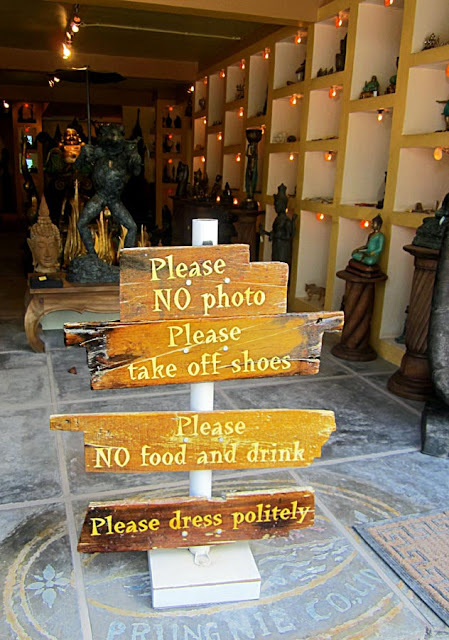 I wonder what "Dress Politely" means!